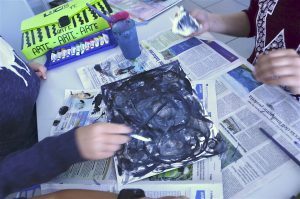 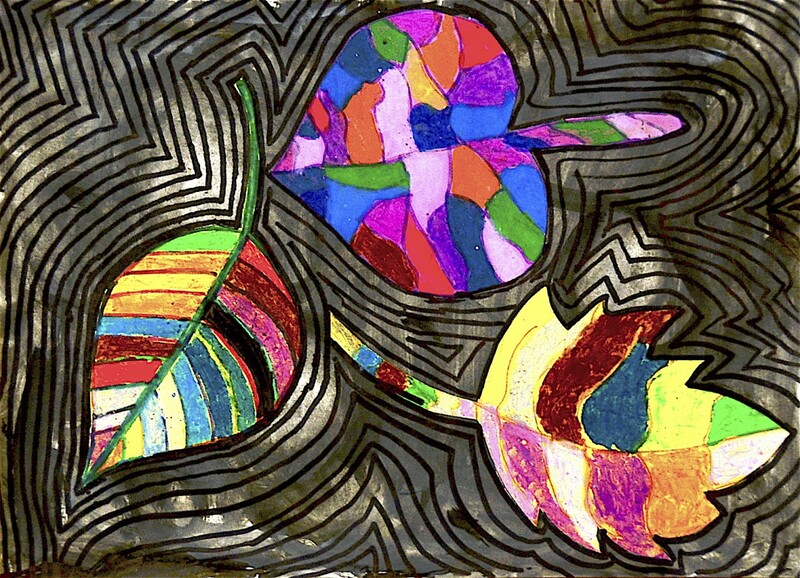 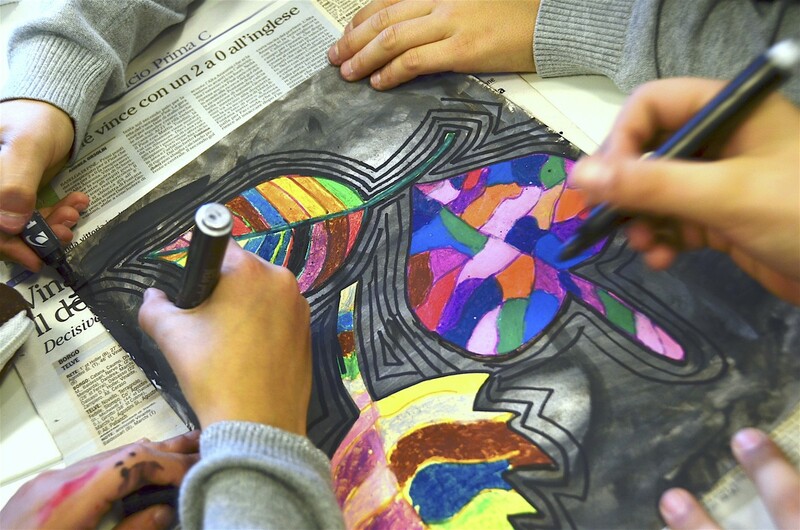 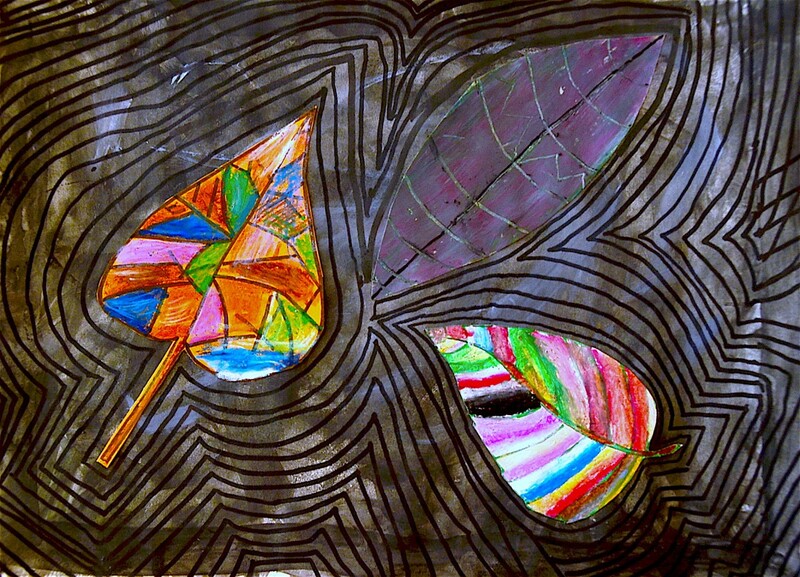 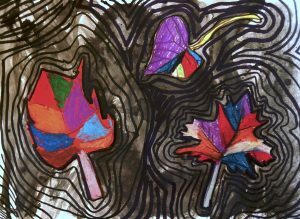 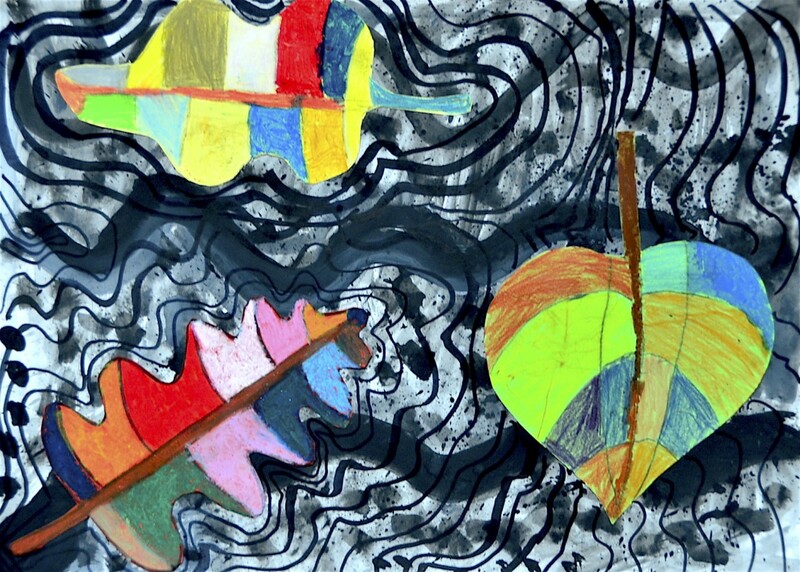 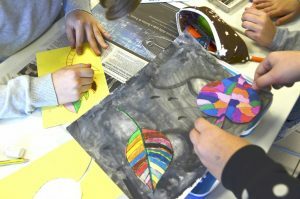 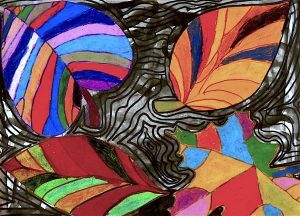 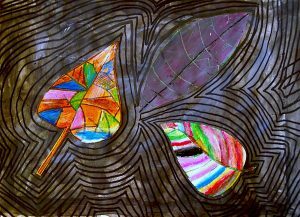 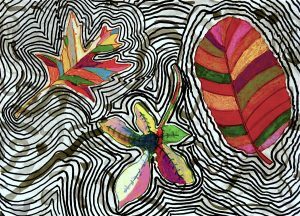 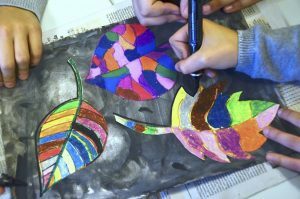 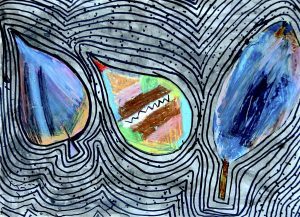 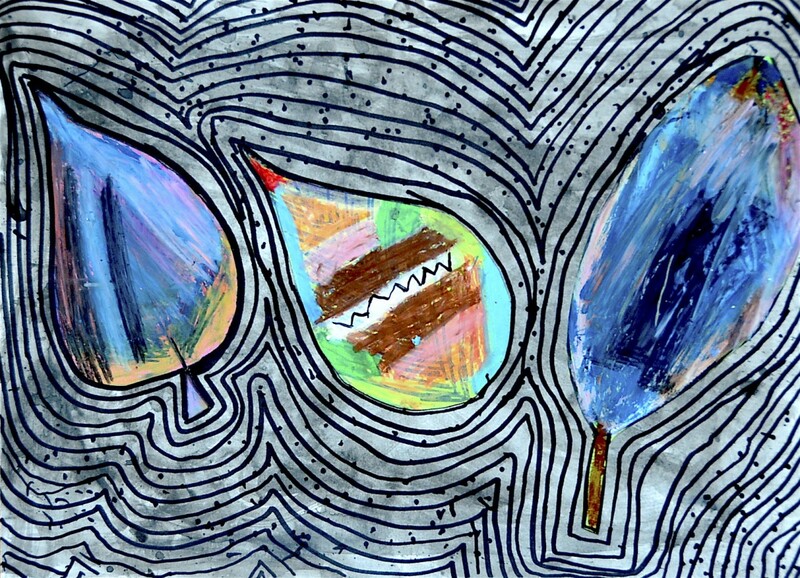 In groups of three we created this mixed media work, following the step-by step instructions. 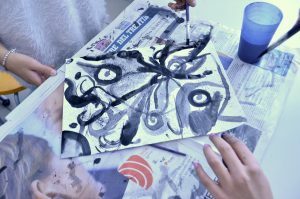 First we write our names on the back of the drawing sheet. 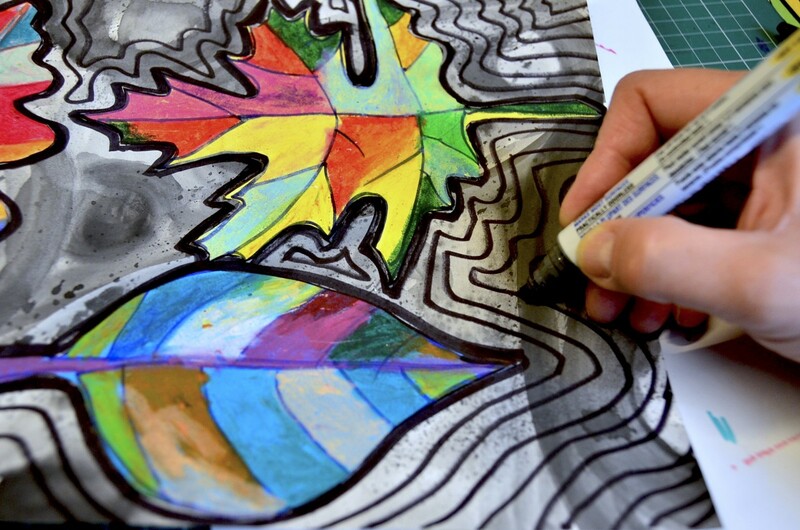 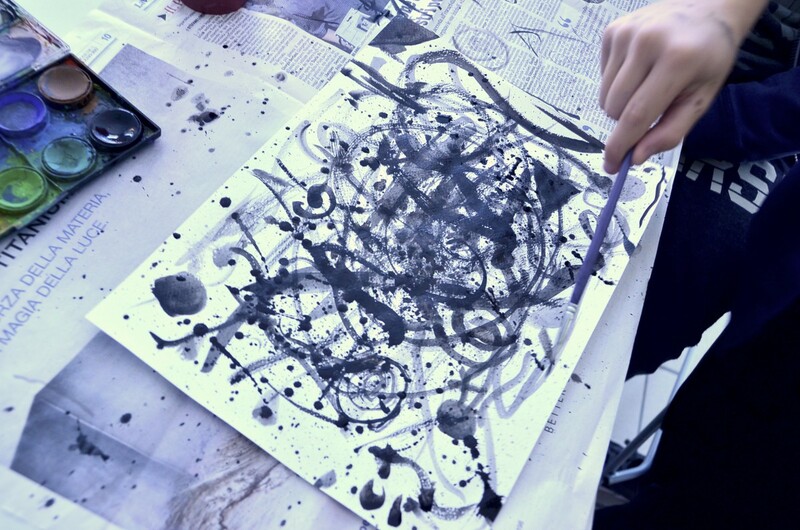 Then we paint the drawing sheet with watercolors, all the three students of the group on the same drawing sheet. We use flat and round paintbrushes. 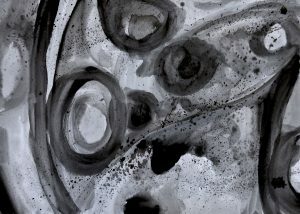 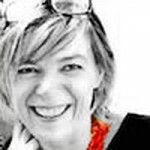 We paint the background just with black and grey, the white areas depend on the dilution of watercolours. 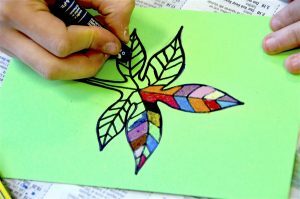 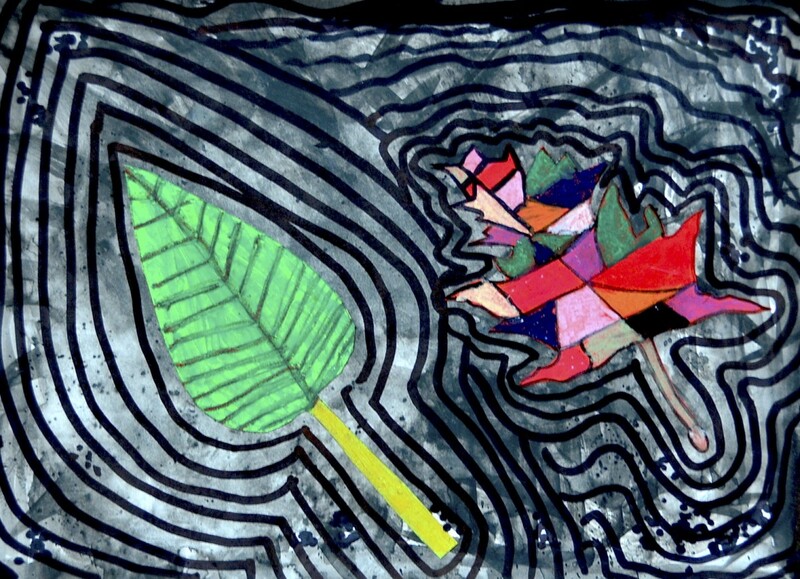 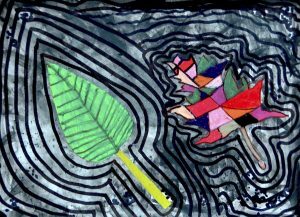 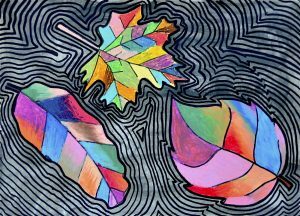 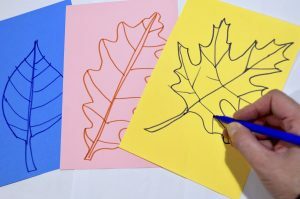 Subsequently we draw the leaves with pencil and felt tip pens. 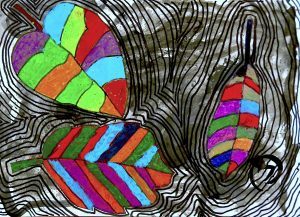 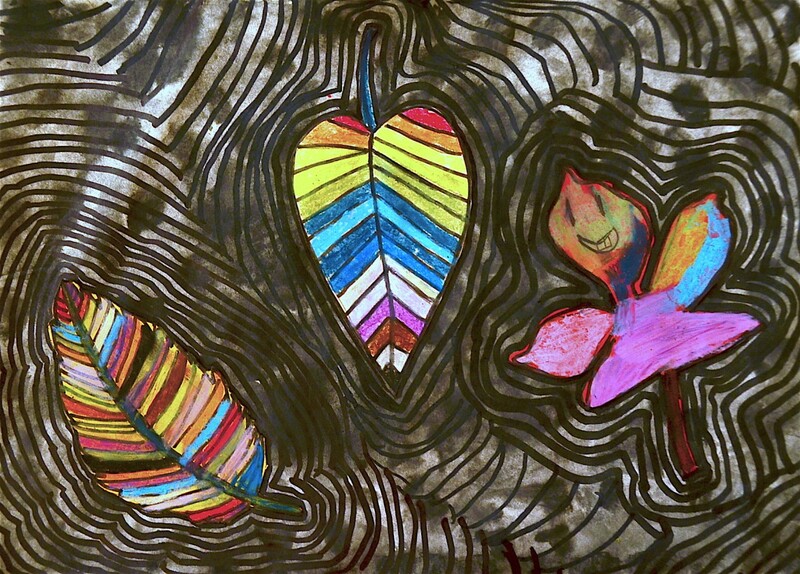 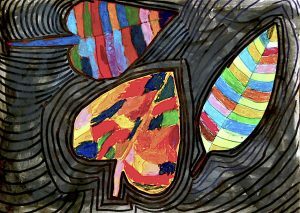 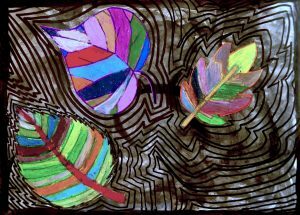 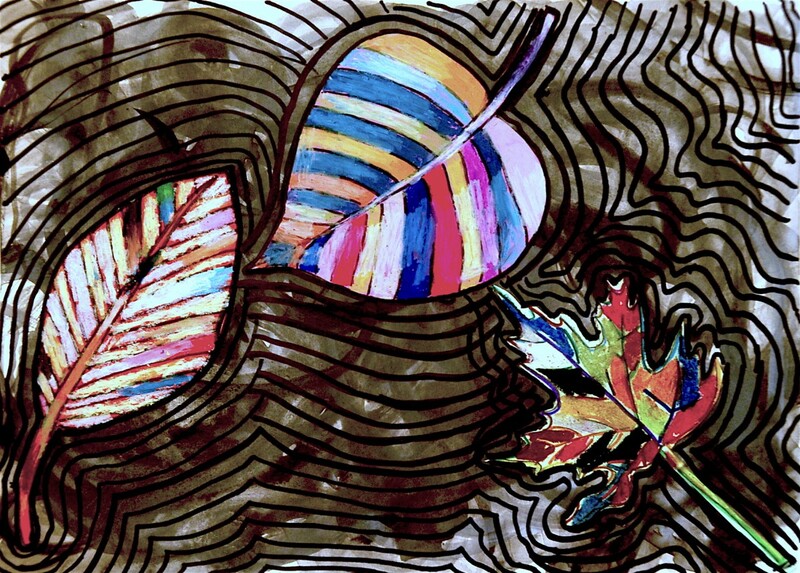 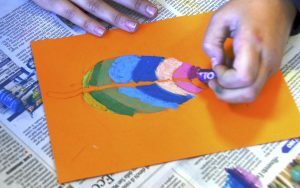 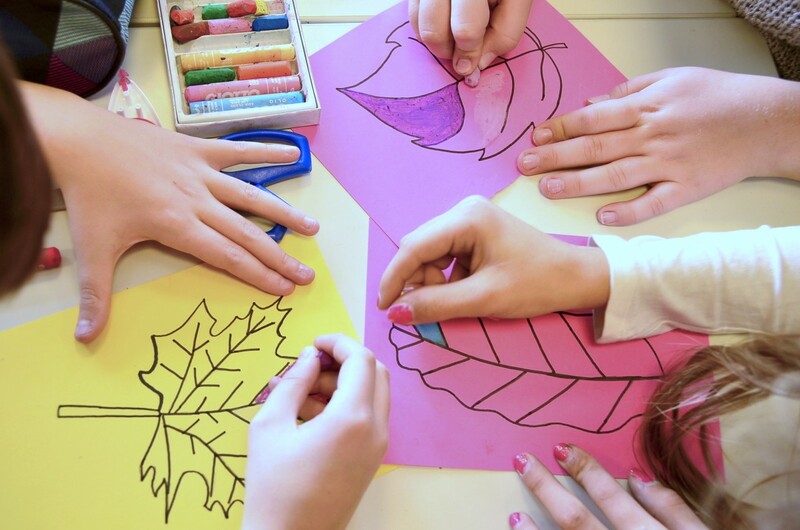 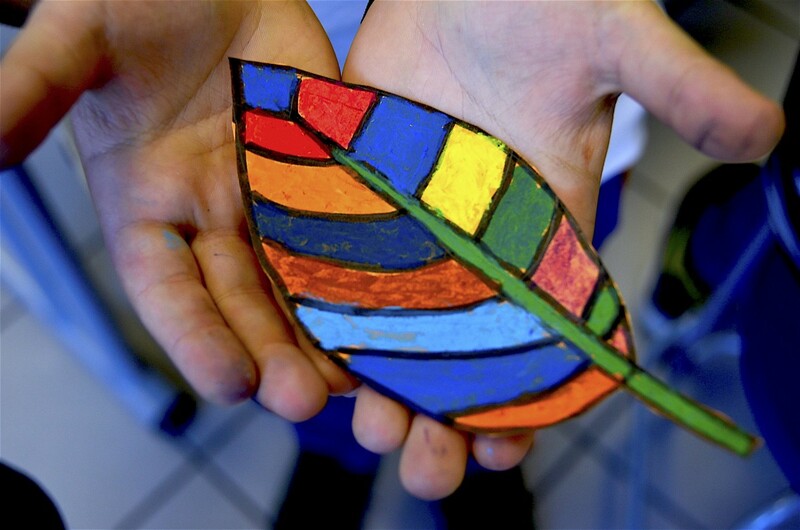 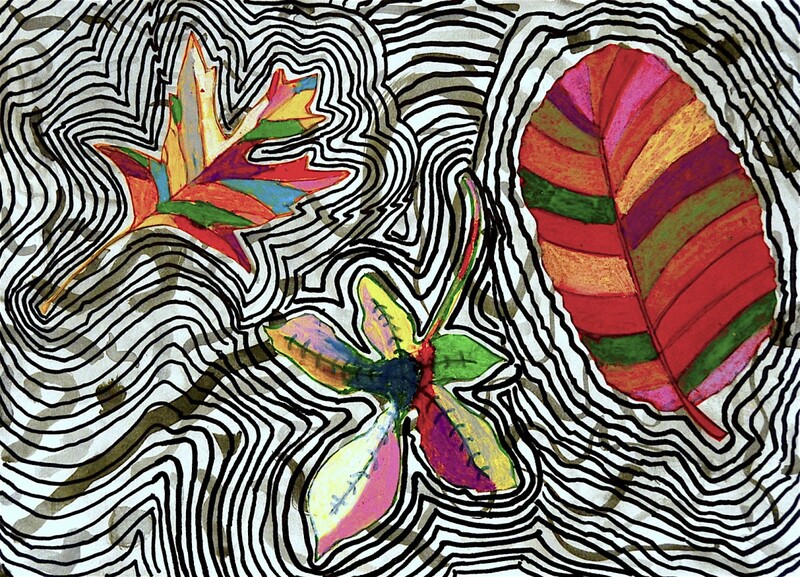 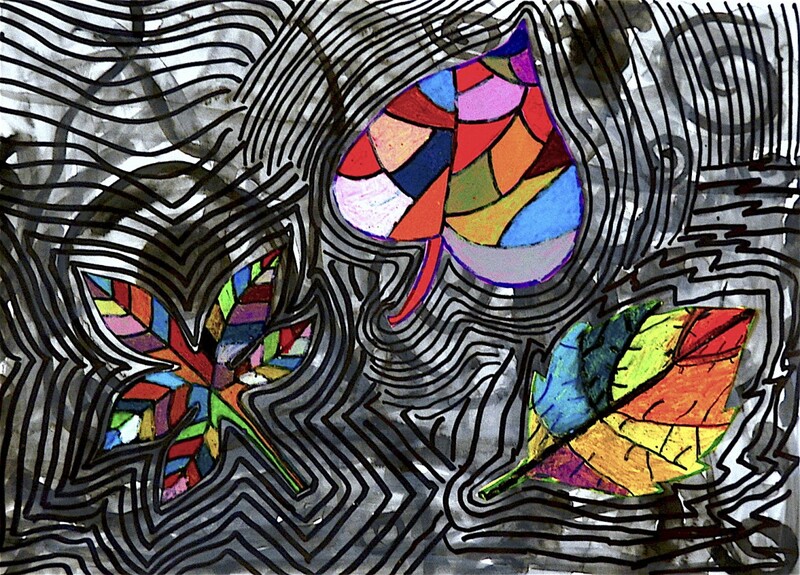 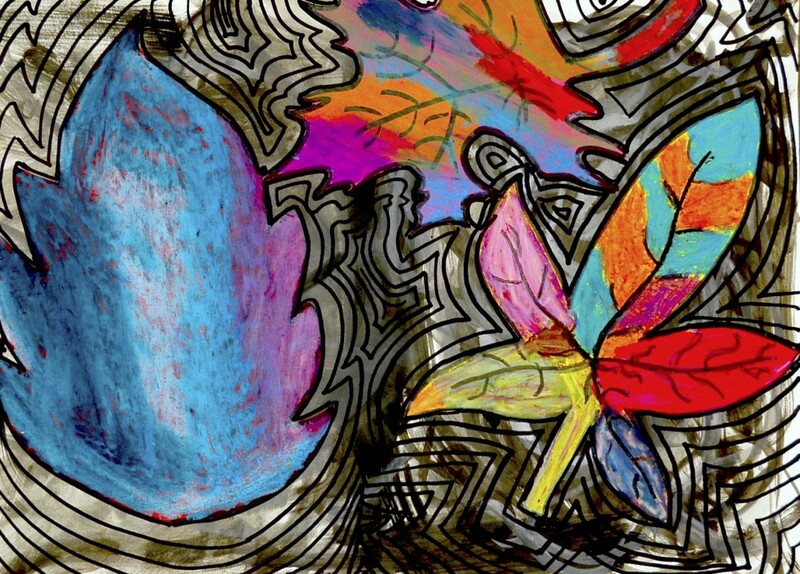 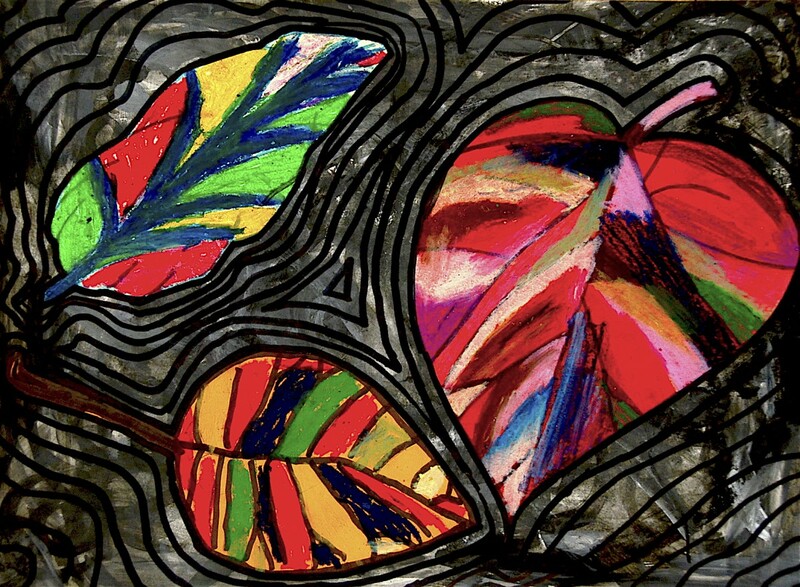 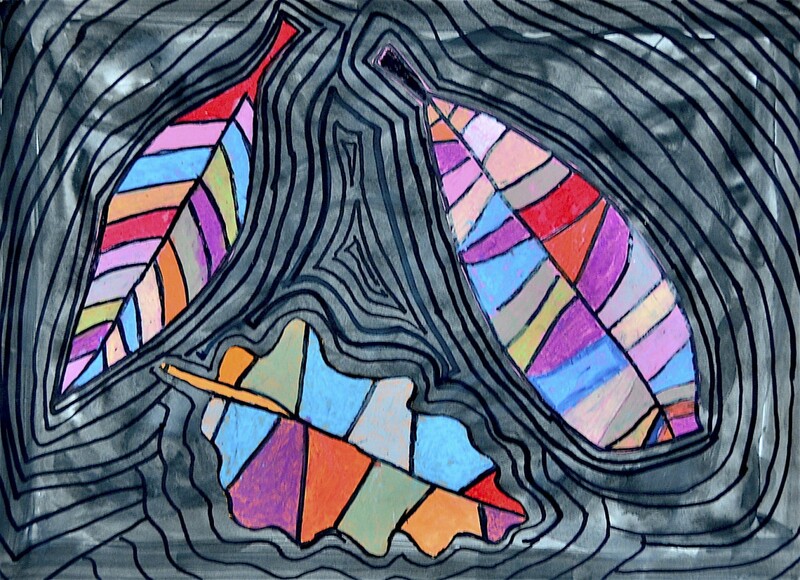 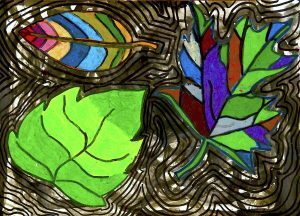 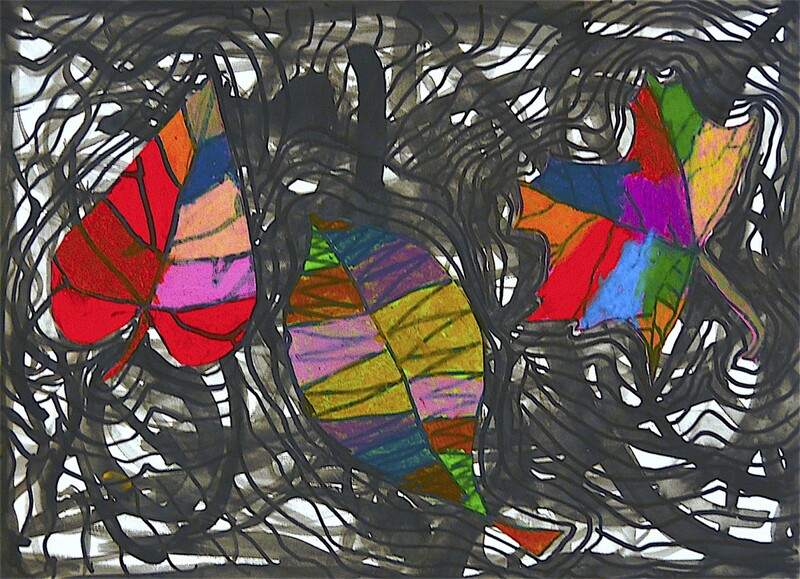 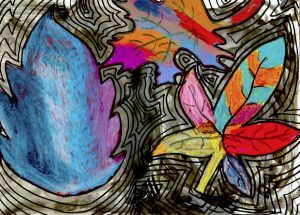 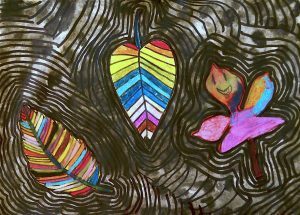 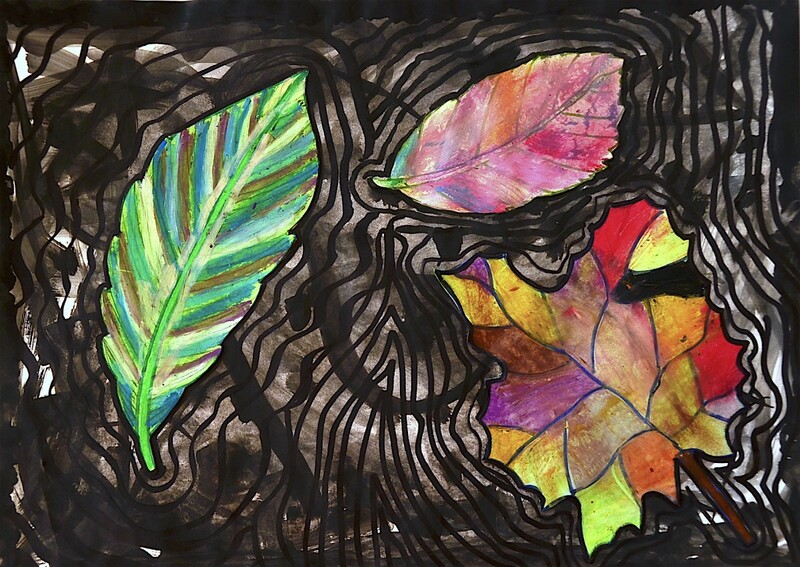 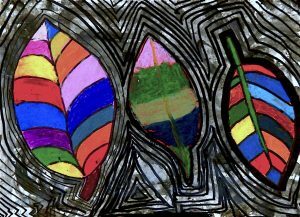 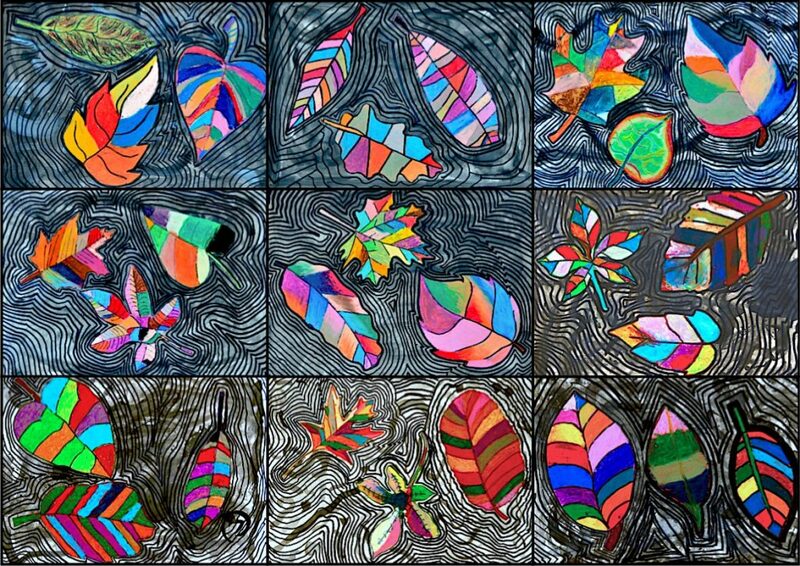 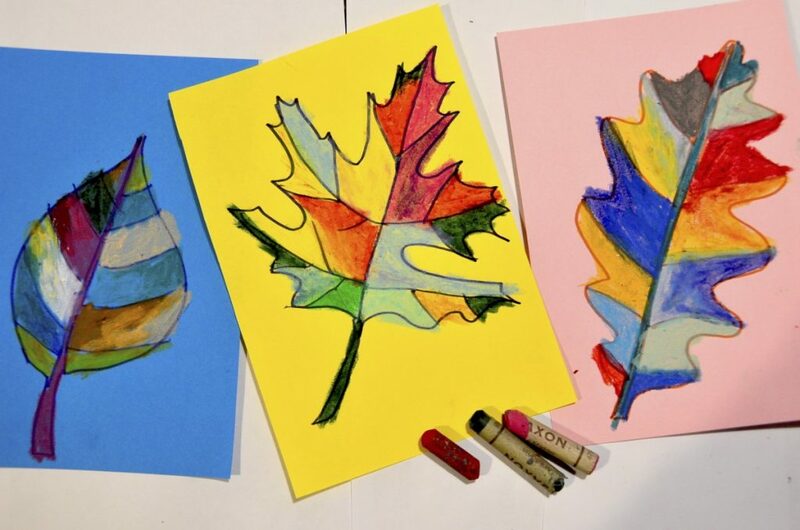 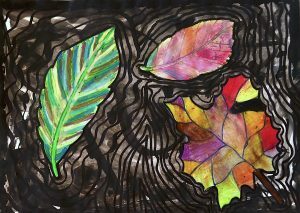 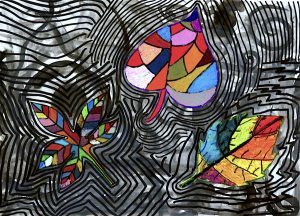 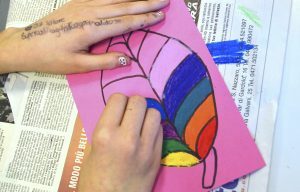 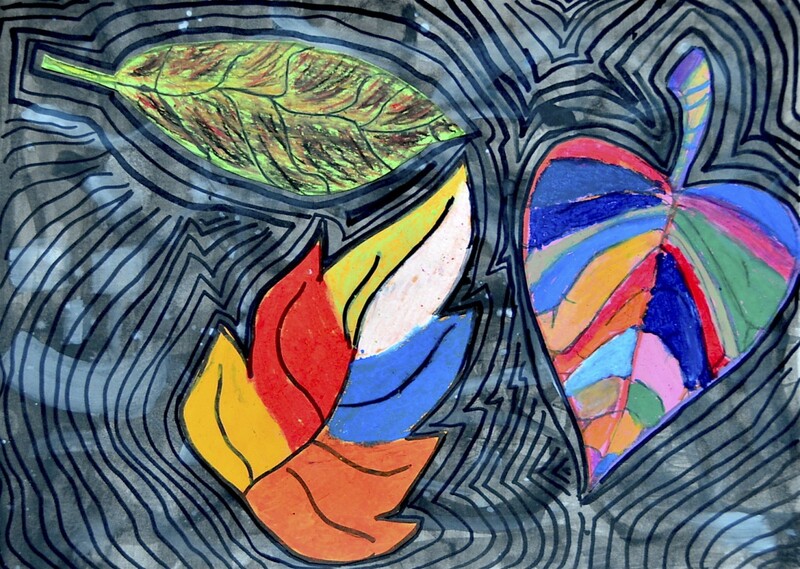 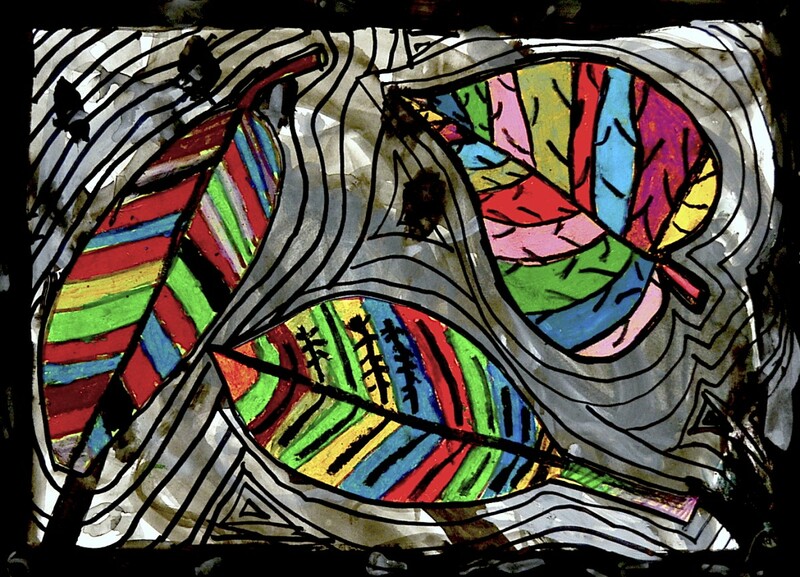 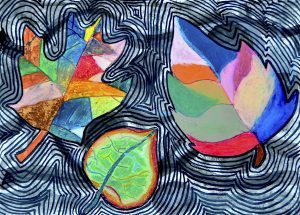 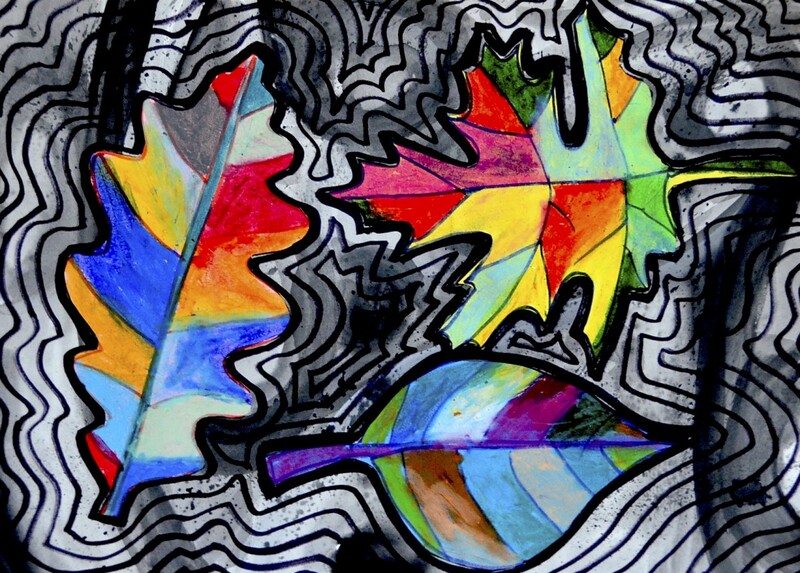 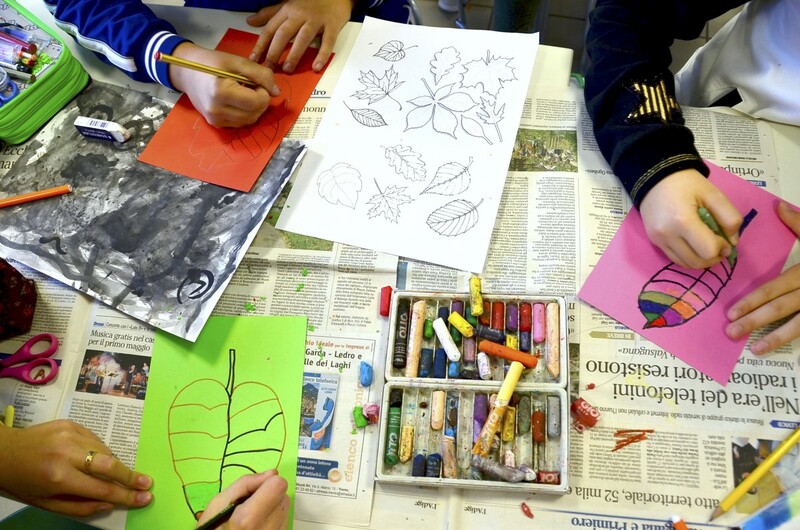 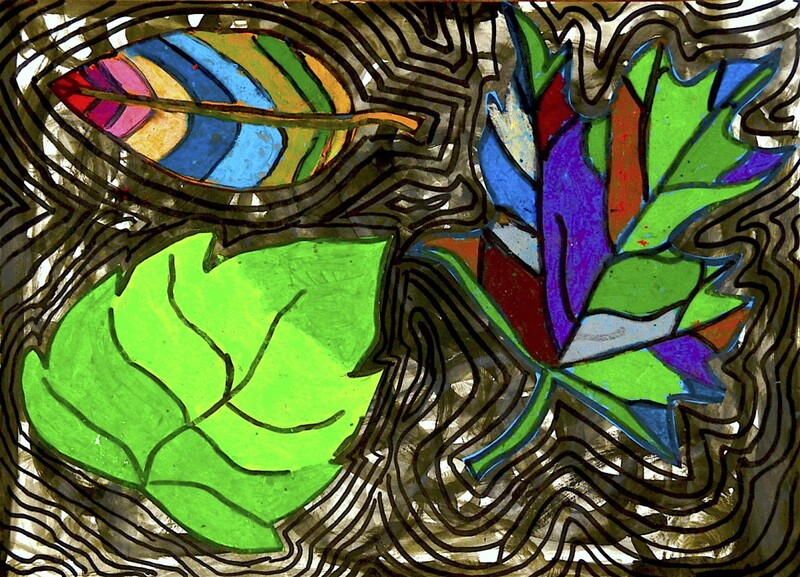 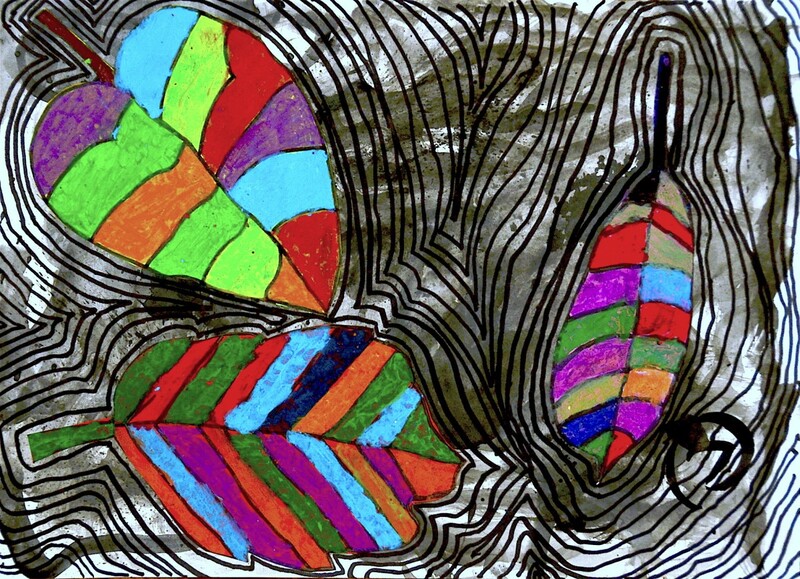 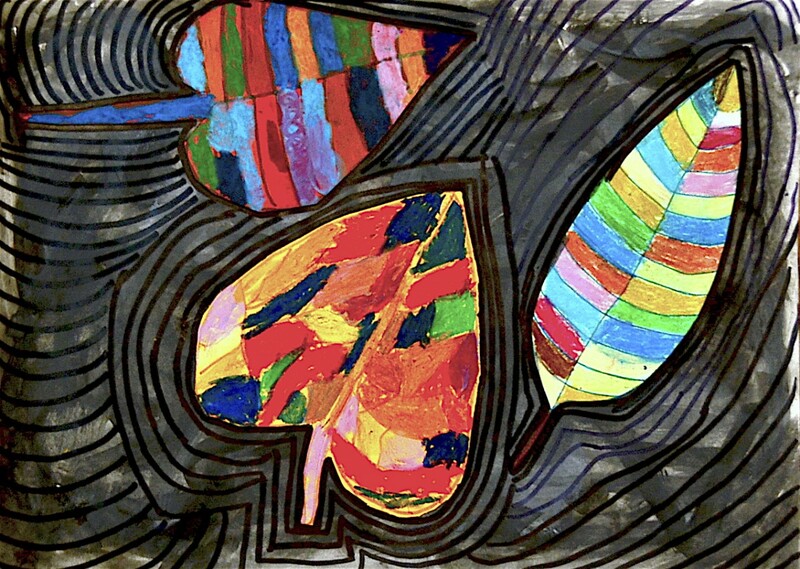 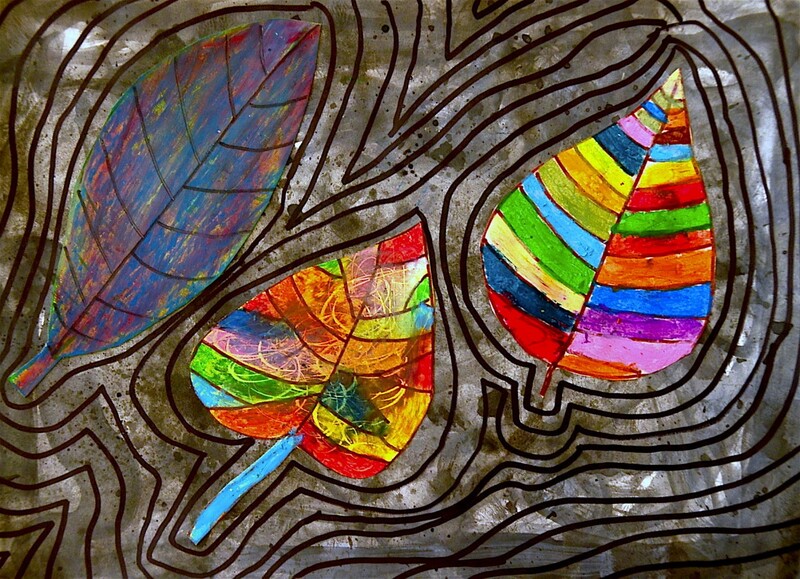 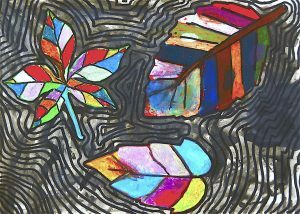 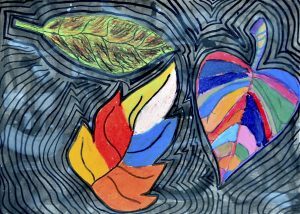 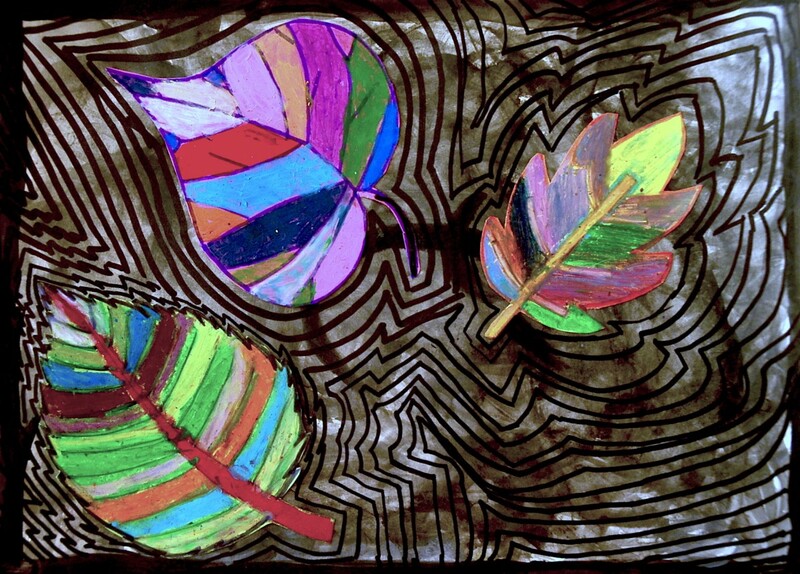 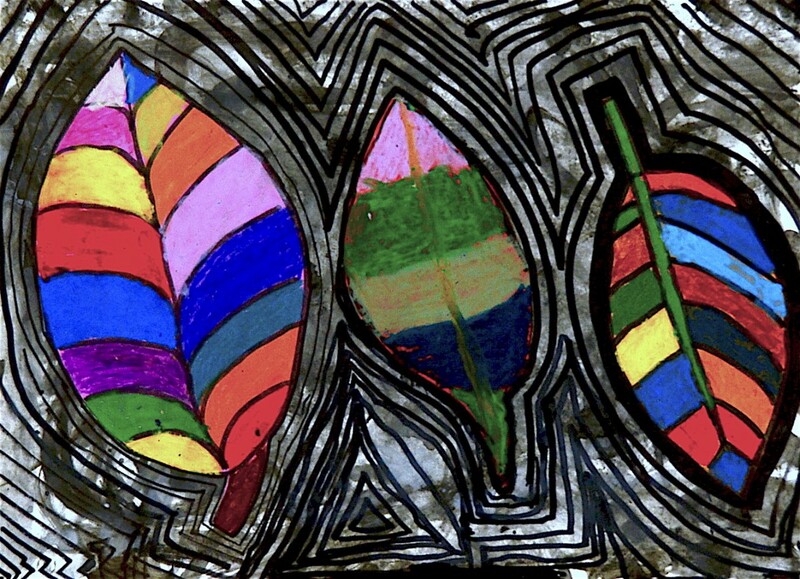 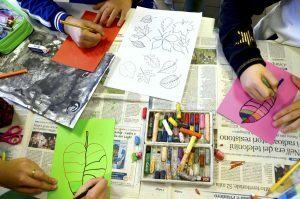 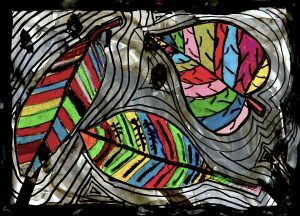 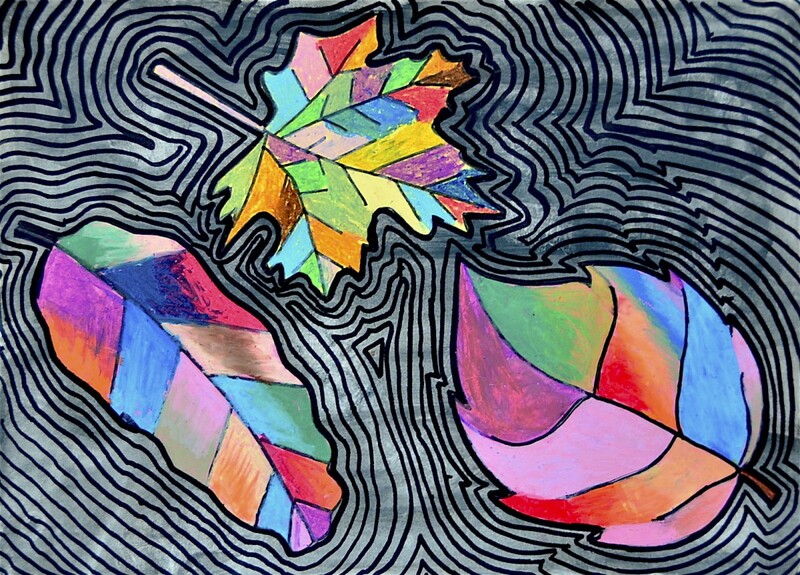 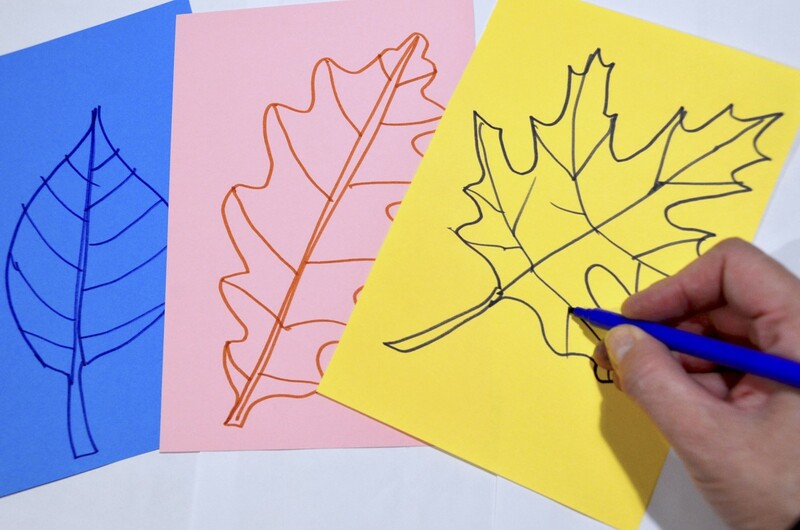 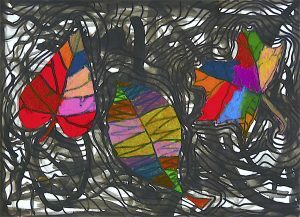 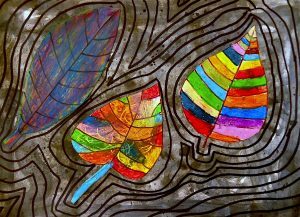 We draw the leaves on colored cardboards. 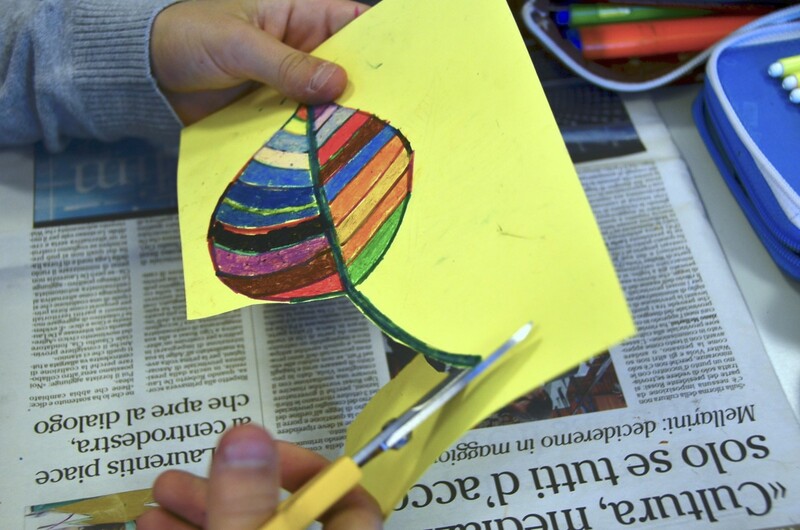 Then we cut the leaves out with scissors and paste the leaves on the painting with stick glue. 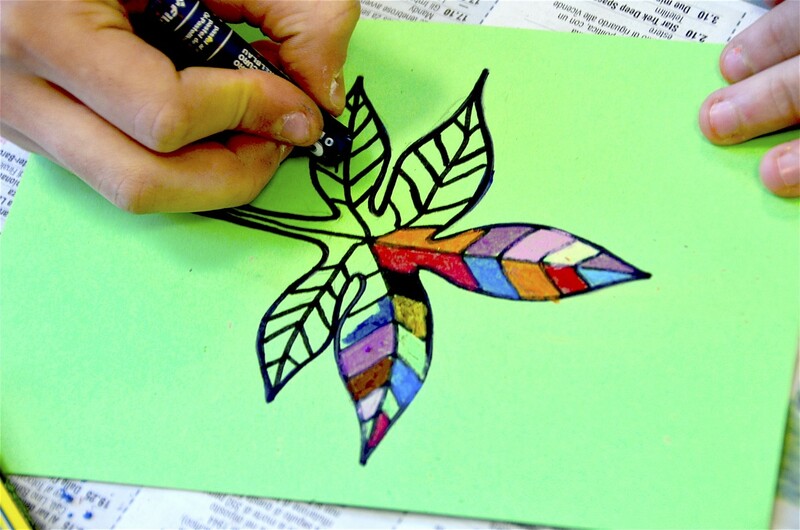 Afterwards we draw the outline of the leaves with a black permanent marker. 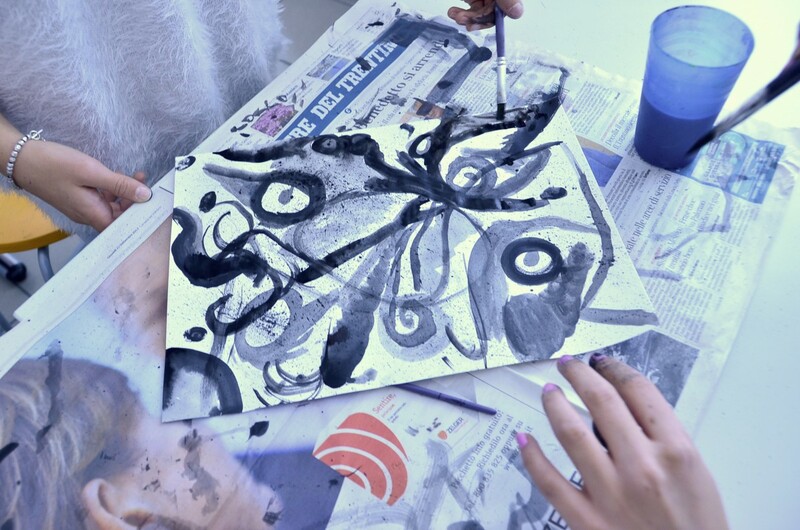 Eventually we draw other larger outlines with a black permanent marker on the painting.